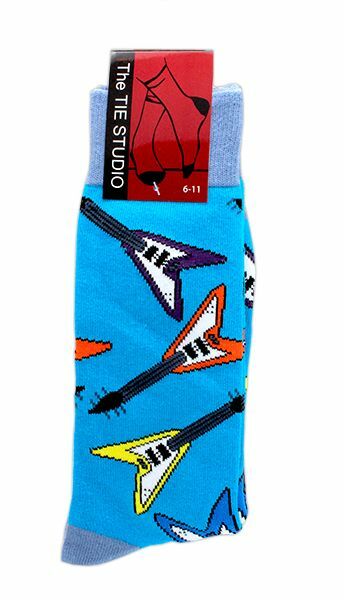 A pair of blue musical socks decorated with many coloured guitars in alternating directions making a nice music gift for any guitarist, guitar teacher or musician. These music socks make a nice musical gift for music enthusiast and from our selection of musical socks for men. More ideas for musical gift can be found in our musical braces and musical umbrellas sections.